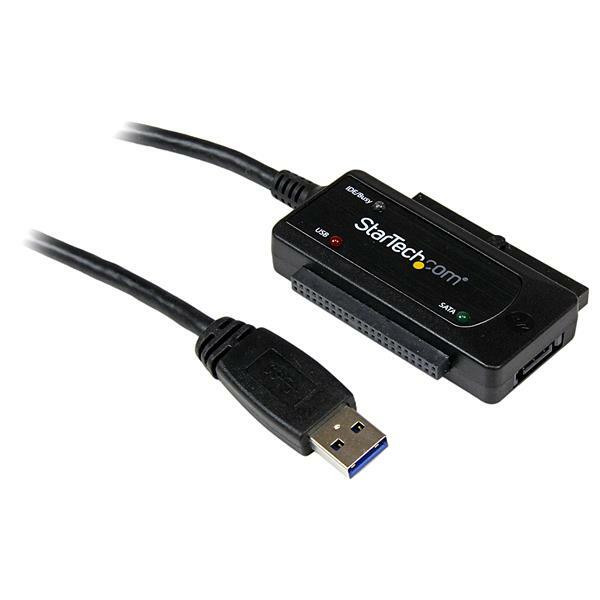 The USB3SSATAIDE USB 3.0 to IDE/SATA Adapter Cable connects any standard 2.5in or 3.5in SATA or IDE hard drive to a computer through an available USB 3.0 Port (Backward compatible with USB 2.0). 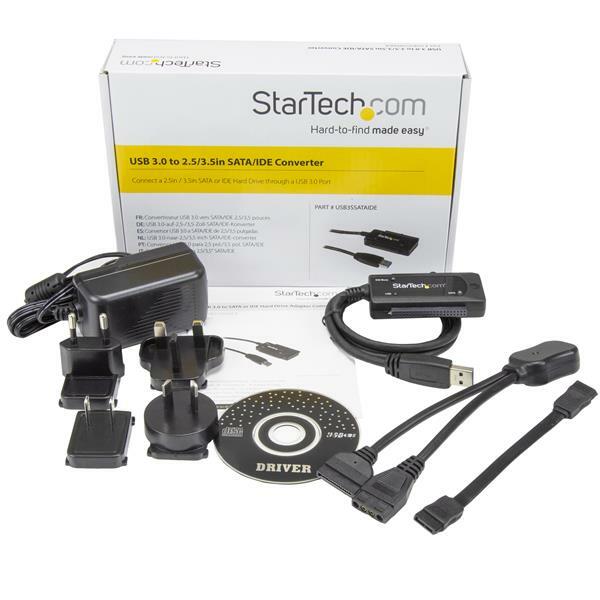 The adapter lets you connect a bare drive with no enclosure, saving time and hassle. 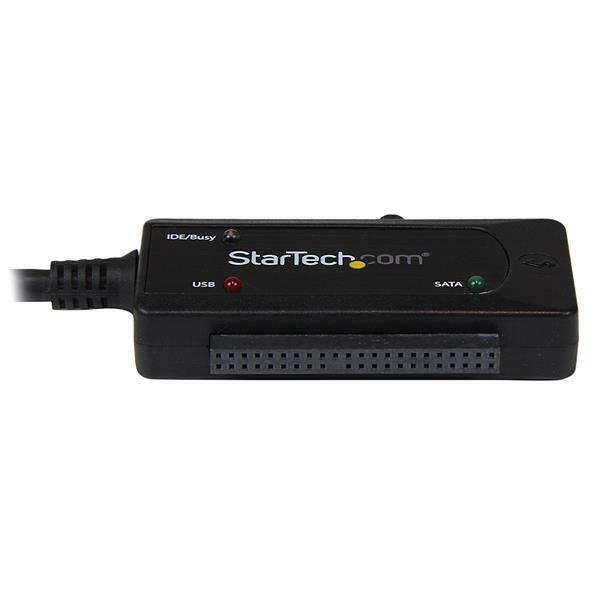 The USB 3.0 SATA/IDE Adapter lets you externally connect a bare drive with no drive enclosure or HDD dock required, and features LED indicators that allow you to easily monitor status and activity updates. 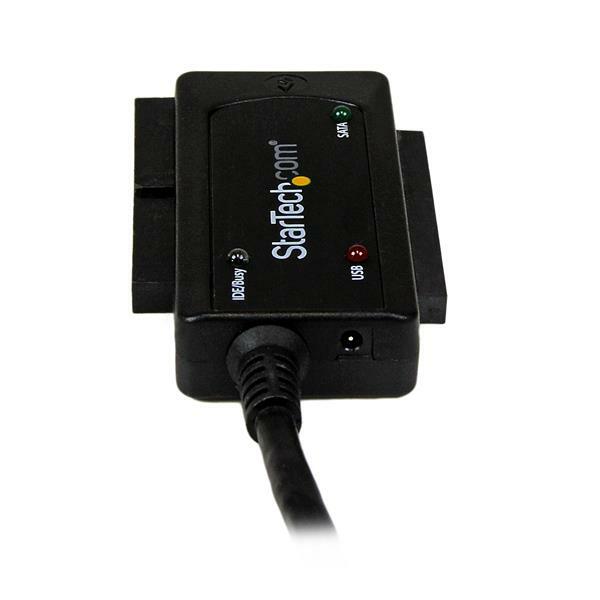 The adapter cable works with Windows®, Linux, and Mac® computers and does not require any software or driver installation - a true plug-and-play solution for adding cost-effective external storage, or overcoming incompatibility between all hard drives and USB enabled motherboards that may not be SATA or IDE-equipped. 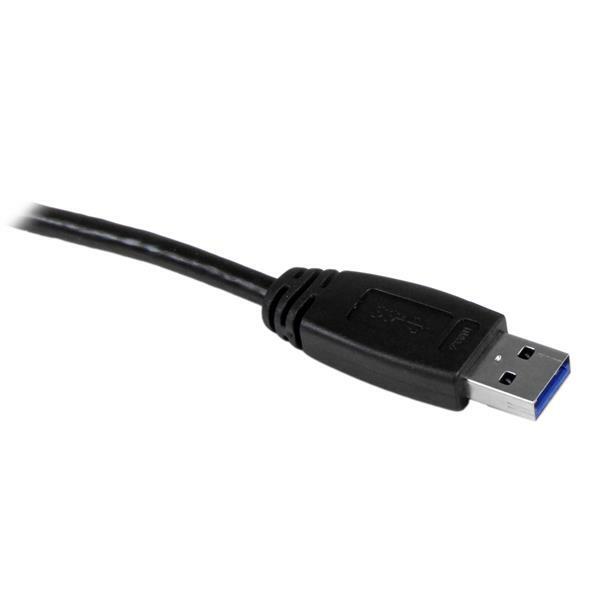 Backed by our 2-year warranty, the USB3SSATAIDE USB 3.0 to IDE/SATA Adapter Cable comes complete with universal adapter and power cords, providing the additional power required to connect 3.5-inch and larger capacity 2.5-inch hard drives. 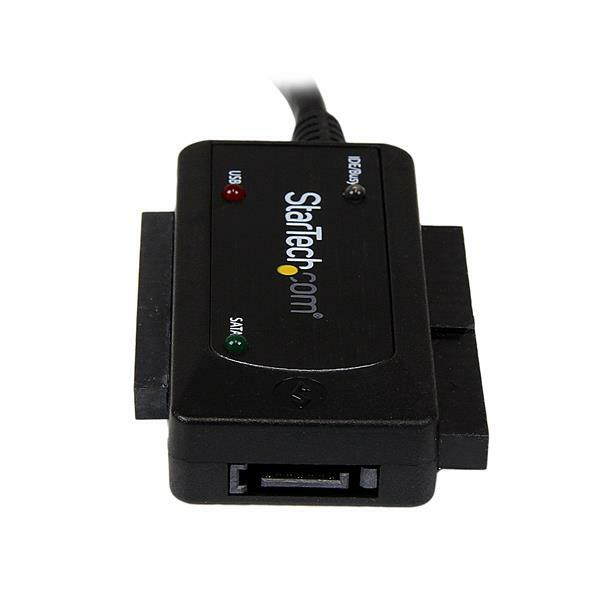 Note Backwards compatible with USB 1.1 standard, but not recommended due to slow transfer rate. Note: Optical disk drives (ODD) are not compatible with this adapter. Use the disk drive(s) and SATA cable in another setup to see if the problem is with the components or the setup. Test the USB port with a different USB peripheral. Use a different disk drive(s), SATA cable, and USB port in your setup to see if the problem persists. Ideally, you should test a component that you know works in another setup. When you test your hard drive, make sure that the IDE drive(s) have the jumpers set correctly, and that a partition (for example, NTFS or FAT32) exists on the drive(s). Note: An independent IDE drive must be set to master. If you are using multiple drives when you are testing, test each drive independently on the adapter. If you are using two IDE drives concurrently, make sure that one of the drives is set to master and the other drive is set to slave. 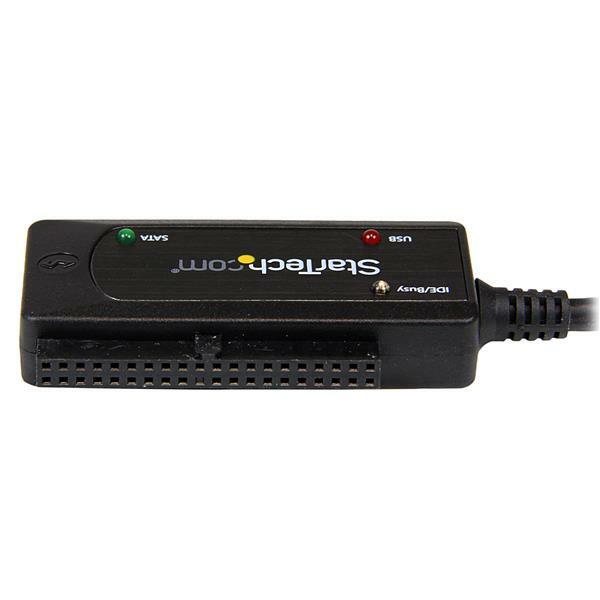 If you are using an IDE drive with a SATA drive, you must set the IDE drive to slave. For more information about the jumper configuration, see the IDE HDD technical specifications.